At a time when two-wheeler manufacturers are finding sales moving at a slow pace in the domestic market, their exports have risen by 19.49 per cent in the April-January period this fiscal, according to the latest data from auto industry body SIAM. Total two-wheeler exports during the period stood at 27,59,935 units as compared with 23,09,805 units a year ago, showed the Society of Indian Automobile Manufacturers (SIAM) data. The growth in exports of two-wheelers from the country is driven mainly by motorcycles and scooters. Motorcycle shipments to foreign markets during the period stood at 24,12,800 units as against 20,34,250 units in the corresponding period last fiscal, up 18.61 per cent. Likewise, scooter exports zoomed by 26.67 per cent to 3,32,197 units as compared to 2,62,253 units in the year-ago period, SIAM said. Exports of mopeds grew by 12.3 per cent to 14,938 units, against 13,302 units a year ago. Recovery in markets such as Africa and Latin America has helped two-wheeler manufacturers crank up their exports from India, industry observers said. Leading the two-wheeler export bandwagon is Bajaj Auto, which shipped a total of 14,50,766 units in the April-January period, a jump of 24.87 per cent. Chennai-based TVS Motor Co's exports also zoomed by 29.18 per cent to 5,04,799 units during the period, as per the SIAM data. Honda Motorcycle and Scooter India also posted a 10.3 per cent increase in its two-wheeler exports to 3,25,759 units during the period. India Yamaha Motor posted a 2.39 per cent increase in its exports to 2,09,352 units, while Hero MotoCorp's shipments stood at 1,63,480 units, up 5.74 per cent. The rise in exports comes at a time when two-wheeler sales in India have slowed down to single-digit growth. 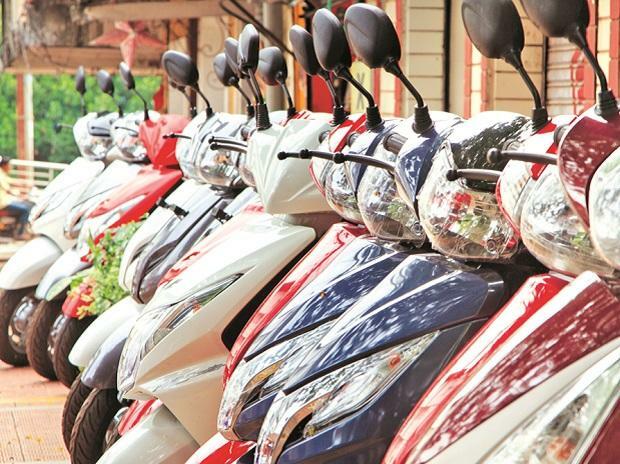 According to SIAM, two-wheeler sales in the domestic market stood at 1,81,25,656 units in the April-January period this fiscal as against 1,67,71,630 units in the corresponding period last fiscal, a growth of 8.07 per cent.